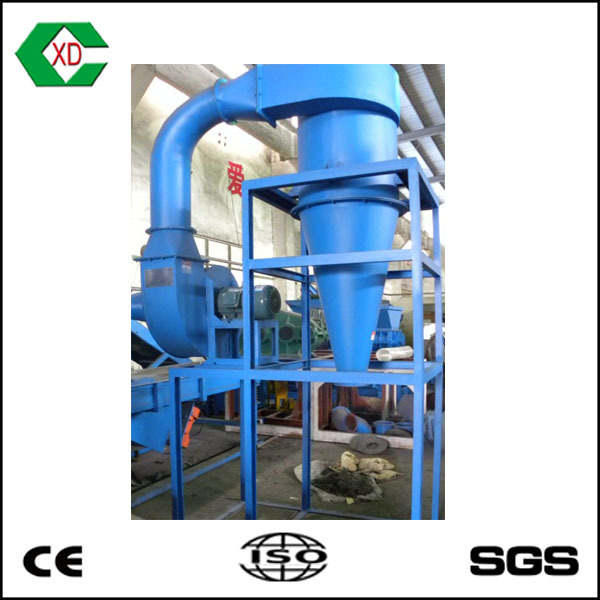 CQF Coarse Fiber Separator from China Manufacturer - Jiangyin Xinda Machinery Co., Ltd.
CQF Coarse Fiber Separator is an ideal separating equipment for the coarse fiber mixed in the rubber granules from the rubber chip grinder to improve the purity of the rubber for the next rubber powder milling process. 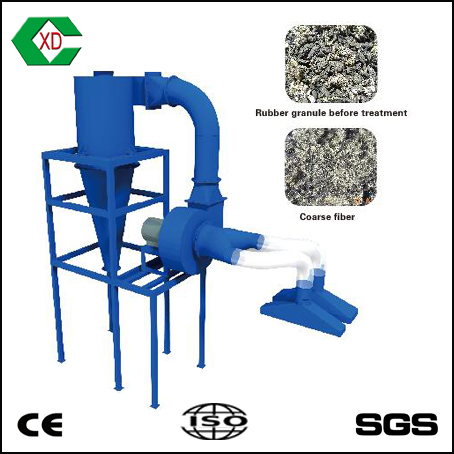 It mainly consists of Sucking Mouth, Air Volume Adjusting Door, Flexible Pipes, Draught Fan, Body Frame, Cyclone, etc. ◆Adopts improved model of Draught fan, strong sucking force, no jamming. 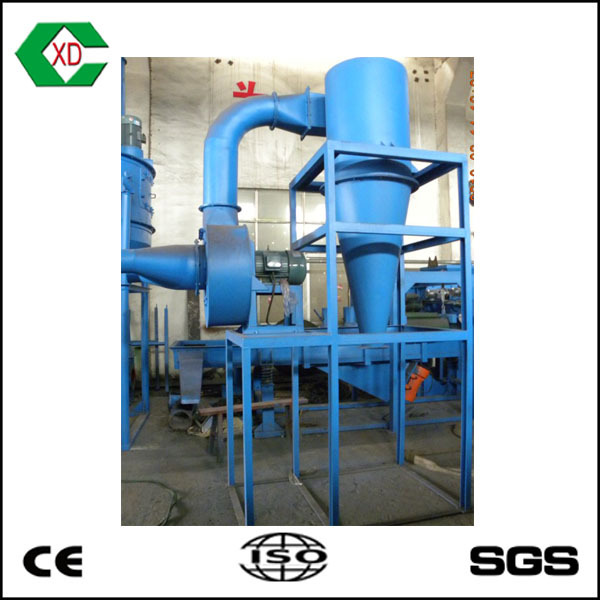 The cyclone can separate fiber effectively to avoid pollution and increase production capacity.